one the character in Lucky Star anime. 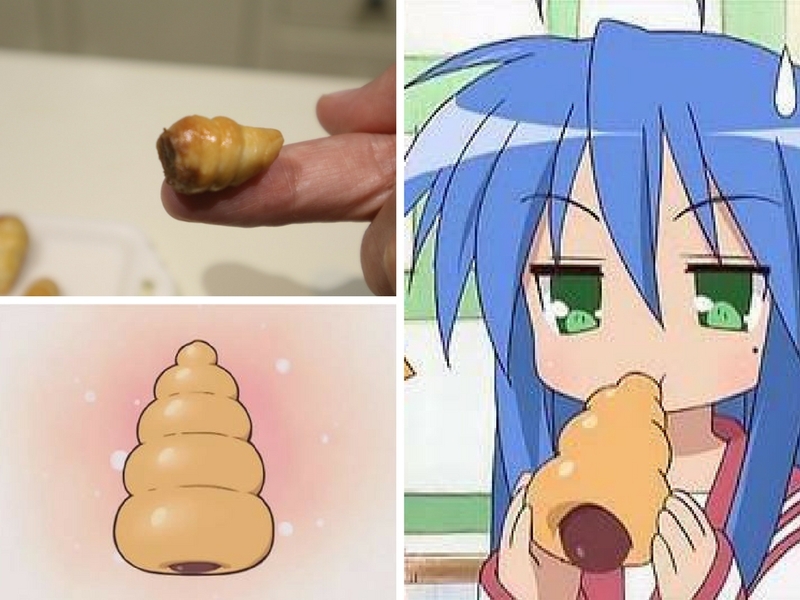 In the first episode Konata was wondering how to eat a chocolate cornet correctly?, which one is the head? or which one is the tail? I thought this scene made me curious (or many viewers wondered) what chocolate cornet looks like. That’s why I decided to make one but in miniature version. The ingredients are the same in normal size of servings but I can not give you the exact amount of measurement I just follow my instinct and my imagination. You can make your horn molds: you just need 1 and 1/2 inch by 1 1/2 inch of hard paper and 1 and 3/4 inch by 1 and 3/4 inch of Aluminum foil. Make a triangle shape or ice cream cone. Lock it by using glue paper. Then wrap it with Aluminum foil. Here’s my full video in baking Chocolate cornet.